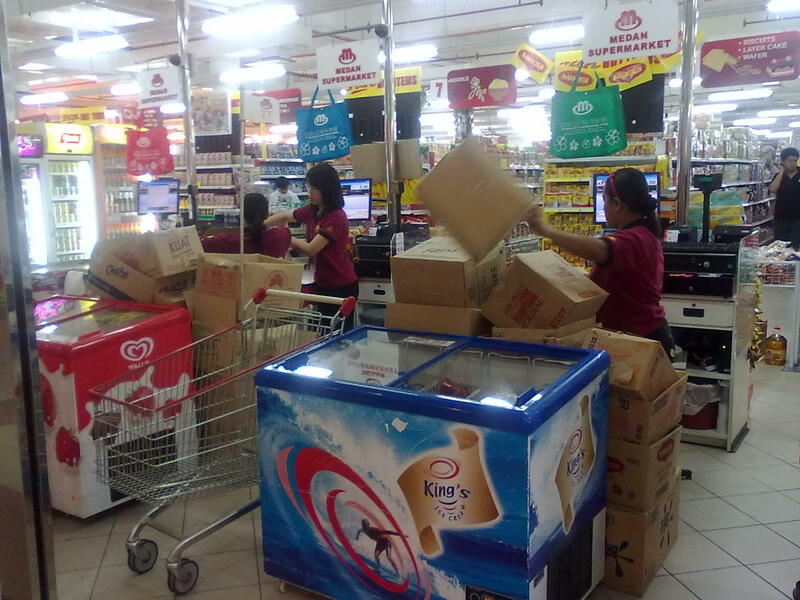 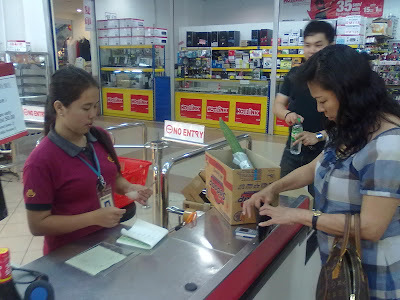 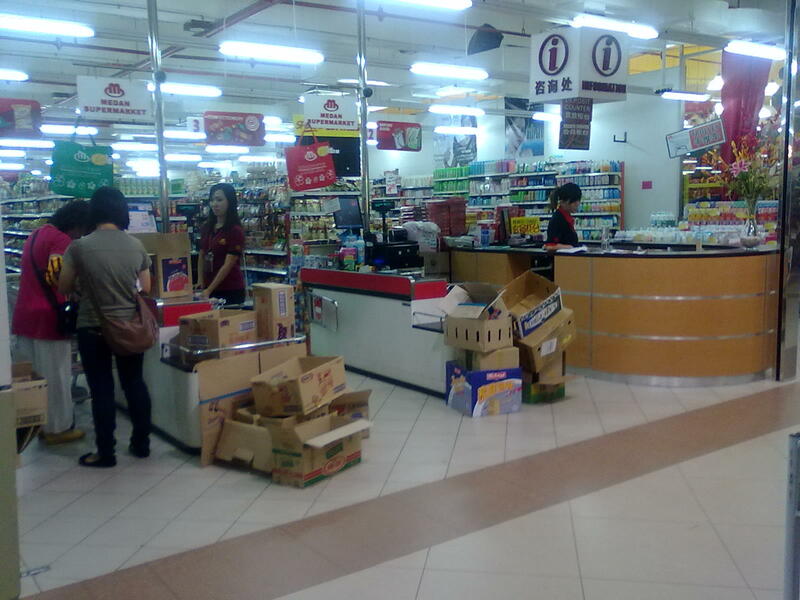 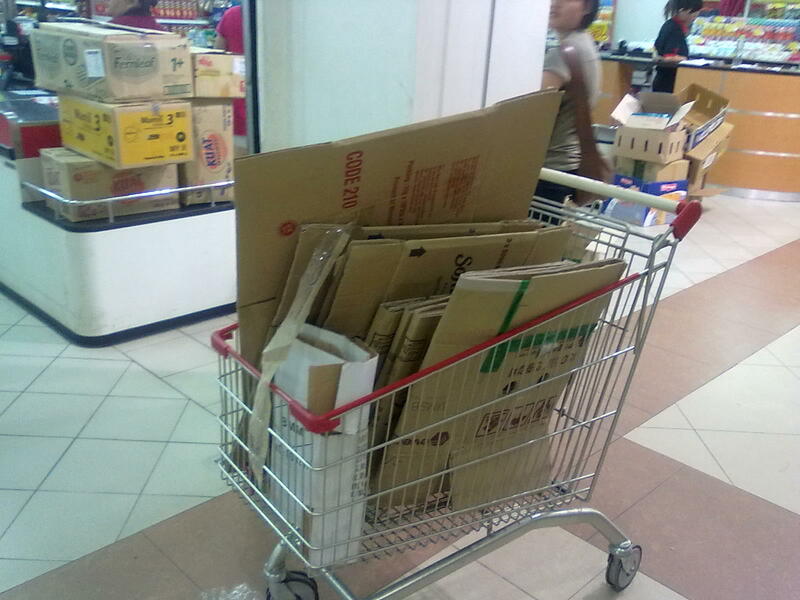 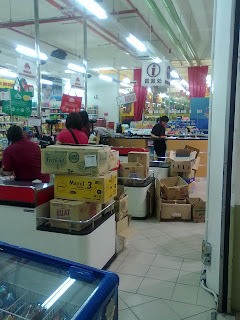 It was a weekend and I was with my family buying some groceries in Sibu at Medan Mall's supermarket. they actually replaced plastic bags with boxes!!! 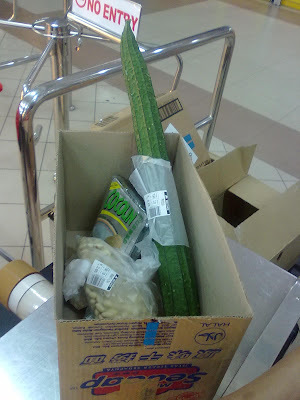 I haven't seen any supermarket using boxes to replace plastic bags yet, this was my first. but now, they can actually reduce the use of plastic bags!! !